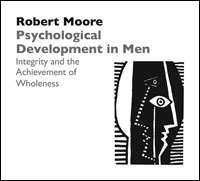 Part of the set "Psychological Development in Men"
How men change and develop through their whole life span is the subject of much current interest and concern. The various stages through which a man must pass to individuate and to achieve his full realization of manhood are also the occasions for spawning conflicts and maladjustments. This course examines the major way stations in men’s development and explores potentialities in each stage as well as pitfalls and developmental arrests.